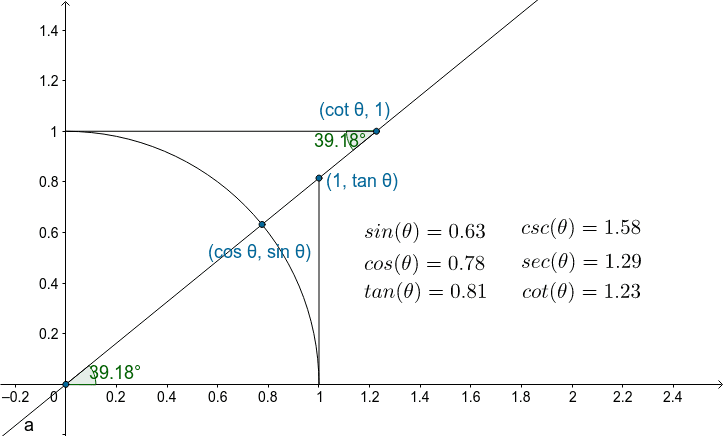 Move the (sin (theta), cos (theta)) point to see the values of the six functions as theta decreases/increases. Note that sec(theta) is the distance from the origin to (1, tan(theta)) and csc(theta) is the distance from the origin to (cot(theta), 1). Can you find a relationship between the trig functions on the left and those that are on the right?